After logging into your dashboard, click on "Request" and select the lesson you wish to reschedule. You will be taken to the lesson request page. Click on the green "Send Rescheduling Request" button. Select your new desired date and time. Write down your reason for rescheduling and click the red “Send rescheduling request using this date/time” button. Once you send the rescheduling request, the lesson status will change to "Reschedule requested by student." Once your tutor checks and confirms the rescheduling request, the lesson status will change to "confirmed" as shown in the image below. Please note: an unconfirmed lesson cannot be rescheduled. Please cancel the lesson first to receive your points back, then request a new lesson at your desired time. Lessons that have not yet been confirmed can be cancelled for a full refund at any time. Login to Cafetalk and click "Request." From the next page, click on the lesson that you’d like to cancel. You will be taken to the lesson request page. From there, click on the red "Cancel" button. 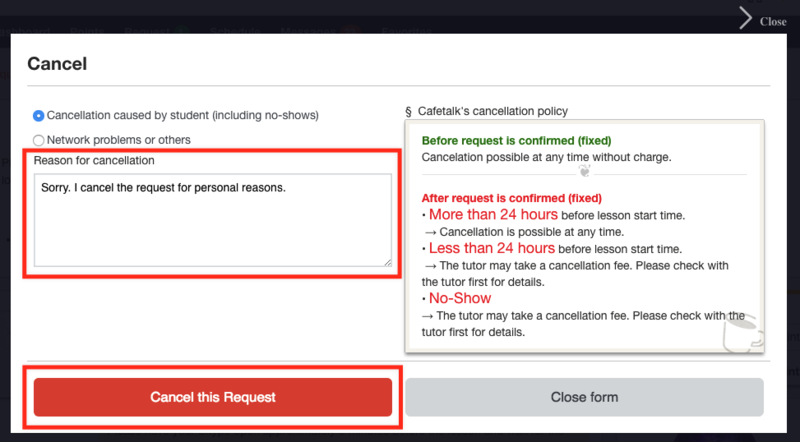 Enter in your reason for cancellation and click on the red "Cancel this request" button. 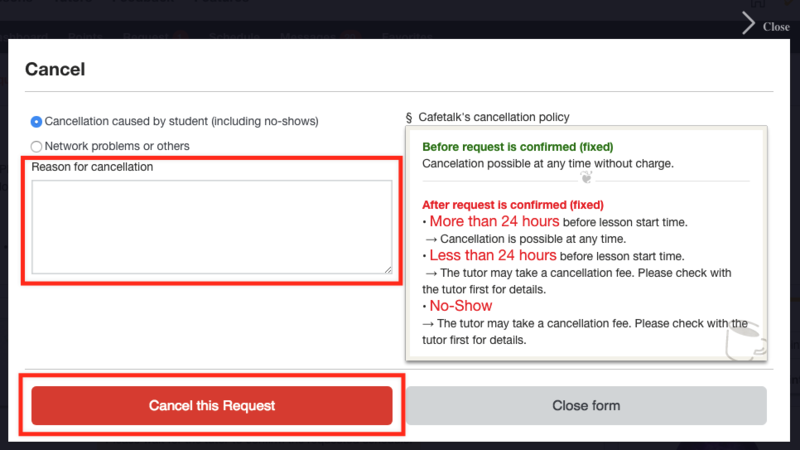 Once your tutor has received and confirmed your cancellation request, the lesson status will change to "Cancelled" as shown below. Please note that your tutor may charge a cancellation fee for cancelling confirmed lessons. 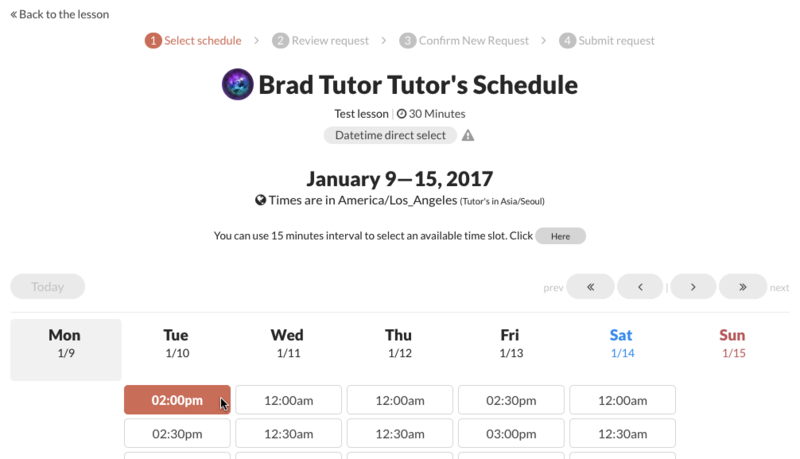 Each tutor has their own cancellation policy, so it’s best to inquire directly with the tutor for more information about cancellation fees.